Some of my favorite events while attending the American Christian Fiction Writers (ACFW) conference are the worship sessions. Sunday mornings are especially treasured because of the beautiful sound of the ACFW choir. 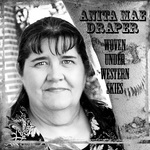 Rachael Phillips, the 2011 ACFW Choir Director said, "They are a wonderful, gifted group, and I love working with them. I send them music and mp3 files beforehand, which they rehearse on their own, and in four/five crazy conference practices wedged in between classes and appointments, these singers from all over the country blend their diverse talents and spirits into a single voice of praise. SO proud of them!" Last Sunday, I sat at the Beyond the Border zone table in the back corner of the room and taped the 2011 ACFW choir on my little Lumix camera. Because I was so far away, the faces in the choir are barely discernable. And the video is shaky since I didn't have a tripod. However, the music is a beautiful outpouring of the spirit. I hope you can look past the inadequacies - perhaps just close your eyes - and receive the blessing of these gifted singers. A fellow Inky - Thank you, Jennifer AlLee - I've been listening to this video since I processed it and I still haven't heard it enough. And Thank you, Rachael Phillips, the ACFW Choir Director who wrote one of the songs, called "Writer's Prayer", based on scripture. Rachael will be posting the lyrics of the whole medley on her website soon. God bless you, Rachael for serving Him and giving us this treasure. Thanks for posting this, Anita. I've had the song in my head for the last week, but I love it! It's really cool to have a recording now. And I second the thanks to Rachel Phillips, who did indeed co-compose that lovely song. Not only is she talented, but she has a true heart for Jesus. Love and enthusiasm just poured out of her at every rehearsal. If anyone is wondering if they should attend next year's ACFW conference in Dallas, hopefully this video will help them decide. Thanks so much for posting this, Anita Mae. So very beautiful. Wow, thank you, Anita! I think this is the first choir presentation that's ever been taped. It's a real blessing to sing under Rachael's direction...she's so very talented. Thank you for posting the video, Anita. No apology for inadequacies needed; the gift of this song is glorious. Yeah! Thanks for the recording. My mother in law was toodling around with my 9 month old the whole time and wanted to come hear me sing in the choir, but she missed it, she came in on the beard award. :) So she can hear it now! I love singing with the choir, it's so sad choirs are not in vogue anymore. How beautiful! Thank you! I had to leave the conference too early to attend the Sunday service. I did so want to hear the choir, and now I have! Patty and Mary - You're welcome. Thanks for popping in and sharing. Deb - it sounds like you're a veteran choir member. I've attended 4 choir performances and regardless of how many times you sang while I listened, know that I was blessed every single time. Hey Melissa - I was thrilled to finally meet you at the conference. I'm touched that I have a small part to play in this scenario. My daughter sings with the Rocky Mountain Bible College touring choir out of Calgary and as a mother, I know how much it means to see her sing in person. Hey Sue, you're welcome. You're not the only one who needed to leave early Sunday to catch flights, etc. I'm honored I can contribute to His service this way. SO glad to have a video of this! Rachel said one of the videos failed, so hopefully she's got this one on her site. :) It was such fun to sing with these ladies! Thank you so much for sharing this again. It was such a blessing. I don't know if anyone else noticed, but several of the waitstaff were also blessed. Thanks to all of you choir members who shared and to Rachel Phillips, God bless you! I love choral music! It's nice that others enjoyed the choir as well as us. Thanks for sharing. Thank you for recording, Anita! Beautiful. Say, were you in St Louis? I thought I caught a glimpse of you once as I was being herded along in the pack. I'm a little behind, but thank you for posting this Anita Mae. I did not get the privilege of meeting you at the conference (I don't think - there were so many), but I LOVED singing in the choir and Rachael is so gracious and talented. I was blessed in so many ways. I've squinted but can't pick you out from amongst the fuzzy faces. I should've brought my better camera and tripod. Perhaps next year. And there's no such thing as being late with a comment. Not in my book anyway.